FROM THE CHAMBER Halloween provided more tricks than treats for most of us in the metropolitan area this year, in the form of high winds, storm surges, record flooding, toppled trees, gas shortages, and widespread blackouts. But perhaps the greatest … Please login below or purchase a subscription to the Putnam County Courier to access this content. 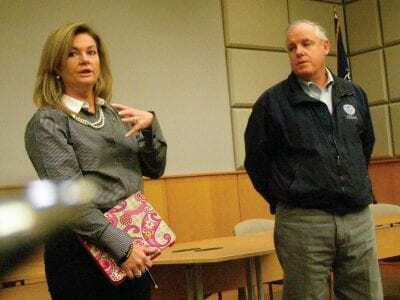 County Executive MaryEllen Odell and FEMA official Kevin Hannes address a meeting of elected and appointed officials Wednesday in Carmel. Putnam officials are hopeful that Gov. Andrew Cuomo will add the county to the list of municipalities suffering … Please login below or purchase a subscription to the Putnam County Courier to access this content. 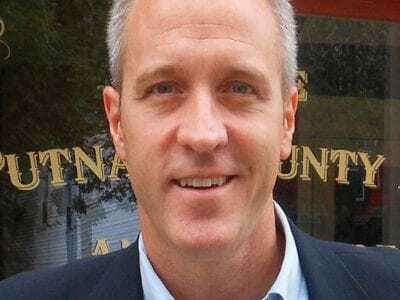 Sean Patrick Maloney In the redrawn 18th Congressional District, Republican incumbent Congresswoman Nan Hayworth failed to pull out a win over Democrat Sean Patrick Maloney, but only just. 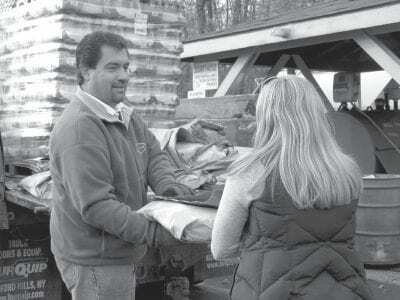 With the help of a well-oiled, organized labor-driven campai… Please login below or purchase a subscription to the Putnam County Courier to access this content. 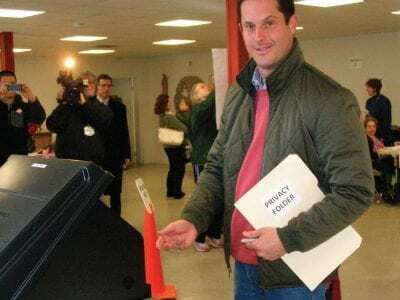 State Senator Greg Ball casts his ballot on Election Day in Putnam Lake. 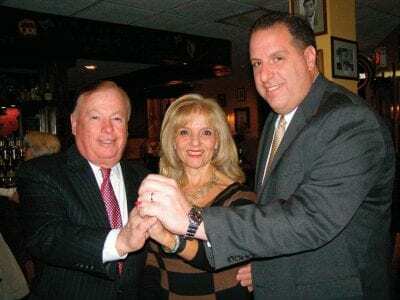 State Senator Greg Ball, Assemblyman Steve Katz and Assemblywoman Sandy Galef were victorious on Election Day while long-time GOP State Senator Steve Saland has likely gone down… Please login below or purchase a subscription to the Putnam County Courier to access this content. ERIC GROSS Inside the Emergency Operation Center Deputy Emergency Services Coordinator Cris Dellaripa reviews road closures with Putnam’s Deputy Commissioner of Highways John Tully. County Executive Mary Ellen Odell called it the “week th… Please login below or purchase a subscription to the Putnam County Courier to access this content. President Obama was the winner in the Brewster School District’s mock election Tuesday. Coordinated by the Brewster High School Leadership Class, the district voted for a president in each school building. Teacher Nicole Rogener tallied the re… Please login below or purchase a subscription to the Putnam County Courier to access this content. Appreciative residents receive dry ice and water last Thursday in Carmel. Barbara broke down and cried. Tears also streamed down the face of John when the two Carmel residents received bags of dry ice and bottles of water courtesy of the NYSEG last T… Please login below or purchase a subscription to the Putnam County Courier to access this content. County Executive MaryEllen Odell yesterday hailed volunteers, first responders and county workers for a tremendous response to the hurricane. 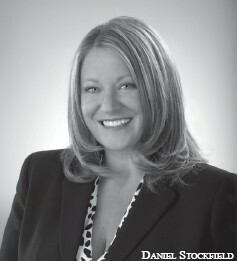 “An extraordinary storm brought out the best in this county and I want to thank ‘Team Putnam,&r… Please login below or purchase a subscription to the Putnam County Courier to access this content. September sales tax revenue has rebounded nicely following a late summer’s dive. Putnam lawmakers received the news Wednesday evening when Commissioner of Finance William Carlin reported September sales tax receipts at $5,904,421 an increase o… Please login below or purchase a subscription to the Putnam County Courier to access this content.